You answered your own question, what about the middle lane is confusing? That being said, I hate when people take fortify and then claim they wont use it, and then pop it a crucial moment so they can win....its a custom game. Lets try to play for fun shall we? Well, by the time you are at the nexus defending towers, you are going to be dealing with minions for all 3 lanes. If you stay there for any amount of time, your own minions are going to eventually just walk through the opponent's defending turrets. That is impossible to avoid. What isn't impossible to avoid is "bleeding off" the minions from the bottom or top lanes, IE: distracting them with your own champion so they do not progress to fight your minions on those lanes. Gold is a valuable resource in ARAM, so is the act of intentionally distracting and destroying those minions considered cheating, cheap, farming, or just a result of bad defenders getting stomped? In addition, you cannot kill the base/inhib turrets unless your minions have gotten all the way there in the first place. If you are intentionally farming, last hitting, pushing side lanes, you are breaking the rules. Okay, I can get that. Now is it cheating for the -defenders- to retreat to the top or bottom minions during team fights in their own base? I have heard that it is "allowable" to defend top/bot inhibs if the defending tower is down. Then again, maybe we just need a really large version of the tutorial map. Since the recent buffs to minions, I've seen alot of hosts playing with the rule that you can defend inside the base (with the stairs as a boundary). This is because sometimes creeps can push the side lanes into the base before the middle gets pushed through. 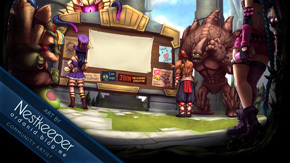 Because it is lame to lose simply because chance gave the opponent's creeps an advantage, people allow defense of the inhibitors on the sides, or even the turrets, simply so the game can focus on the middle play. so...you want to make this official because...i don't get it why. You really think having random champs is good? I have played this mod and the fact that you get a random champion is bulls to be honest. 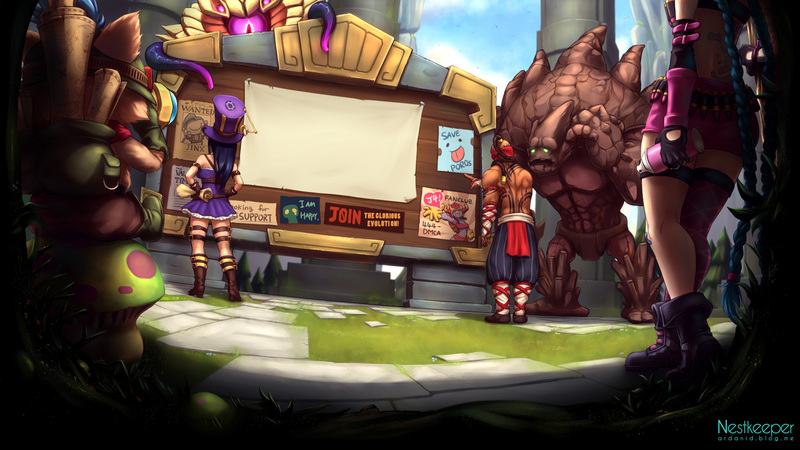 What can teemo/rammus/twich/mundo/udyr do vs Veigar/Sona/Brand/Yi/Alistar? It is just an example but are other ones which make a game of ARAM unbalanced from the start.